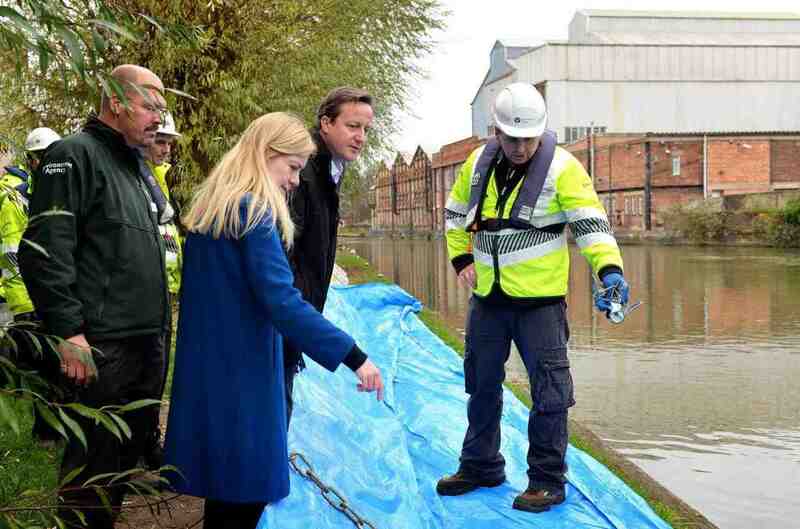 From L: Barry Russell (EA); Nicola Blackwood, MP; David Cameron, Prime Minister. The Prime Minister, Mr David Cameron, visited Oxford today. This was related to an announcement that £42 million should be available to the Oxford FAS. While this was anticipated, as Flood Defence Grant in Aid money allowable for the proposed project, to have it announced in this public way is very welcome as it adds impetus and weight to the proposal. It does not imply though that the Scheme is a done deal: there is a rigorous assessment procedure and further public consultation to be gone through before the Treasury finally decides whether the project should go ahead. It is also the case that no specific scheme, formally proposed, exists yet: that is still being worked on. It was good to meet the new Chairman of the Environment Agency, Philip Dilley.